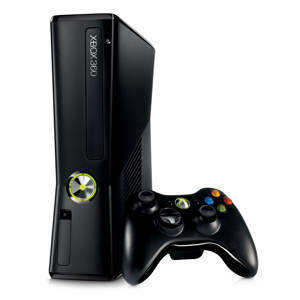 The latest Xbox 360 S series is available with a 250GB hard drive. See the bundles below for deals which include only this latest Xbox model, which replaces the older Xbox 360 Elite / Pro configurations. See also the 4GB model if you are on a budget but still want some 360 action!